Donald Trump’s recognition of Israeli sovereignty over the captured Golan Heights delighted Prime Minister Benjamin Netanyahu, but it may have put the kibosh on the U.S. president’s own Middle East peace plan. Trump is counting on Arab allies such as Saudi Arabia and Egypt to give his still-secret plan traction, but they’ll be hard-pressed to support him after the Golan move. As Glen Carey reports, both countries are staunchly pro-Palestinian, and Trump’s repeated actions in favor of Israel make what he calls the “deal of the century” an even tougher sell. The decision on the Golan, which Israel captured from Syria in the 1967 Middle East war, is just the latest example of Trump’s capricious foreign policy, which has repeatedly puzzled and angered U.S. allies. In Washington this week, the North Atlantic Treaty Organization will celebrate its 70th anniversary, but the occasion will be a subdued affair as members question the president’s commitment to the alliance, which he has suggested the U.S. abandon. Coming on the heels of Trump’s decision to relocate the U.S. Embassy to Jerusalem – which also sparked outrage in the Arab world – his Golan move adds to the potentially destabilizing impact of foreign policy pivots that have characterized the Trump administration and its “America First” stance. 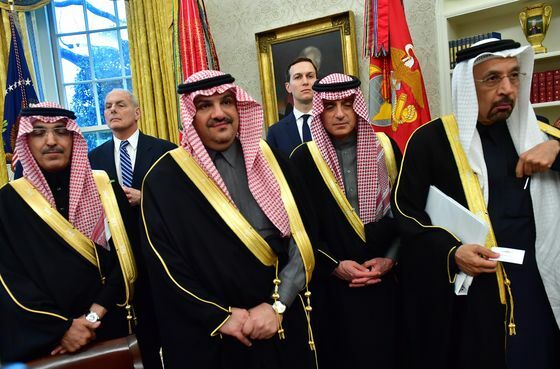 Even staunch ally Saudi Arabia denounced Trump’s Golan decision as a violation of international law that would have “negative effects” on peace efforts. Angry electorates | Voters in Turkey, Ukraine and Slovakia served notice to the establishment this weekend. A recession fueled opposition gains in Turkey, where President Recep Tayyip Erdogan’s party lost the capital, Ankara, and was pushed hard in Istanbul. A comedian beat out incumbent Petro Poroshenko in the first round of Ukraine’s presidential election, while in Slovakia an anti-corruption campaigner took the presidency with a socially liberal campaign. Brexit chaos | A long Brexit delay and a U.K. general election are looking more likely – especially if Prime Minister Theresa May and lawmakers can’t agree on a way forward this week. May failed again to get her Brexit deal through Parliament on Friday, amid rowdy Westminster street protests by pro-divorce supporters. With just 11 days left until the European Union’s deadline for the U.K. to come up with a plan or leave without a deal, members of Parliament today are themselves trying to design a Plan B. 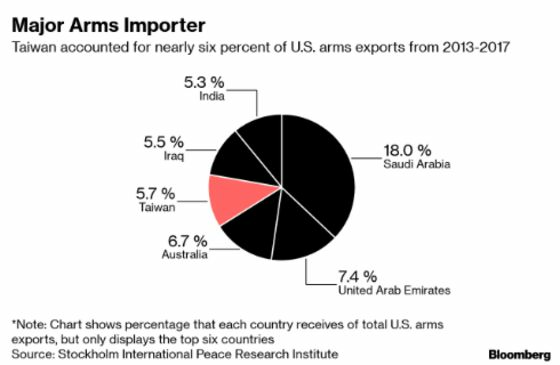 Symbolic sale | Washington may finally sell Taiwan the warplanes it’s long wanted as a fortification against China, one of a series of Trump’s gestures of support for Taiwan in recent months – and one that would signal a new U.S. willingness to back the island. The possibility comes despite Trump nearing a trade deal with Chinese leader Xi Jinping, and as Xi’s special envoy, Liu He, travels to Washington this week. Power drain | Another day, another round of electricity outages and more protests. That’s the bind Venezuelan President Nicolas Maduro is finding himself in as his administration seems unable to restore power. While he’s blamed National Assembly leader Juan Guaido and the U.S., late yesterday he announced a 30-day rationing plan to deal with the crisis as the authorities try to fix a poorly maintained national grid in dire need of investment. New Zealand Prime Minister Jacinda Ardern was welcomed by Chinese Premier Li Keqiang at the Great Hall of the People in Beijing today as the countries signed tax agreements aimed at shoring up relations following a series of incidents that cast doubt on the strength of their economic partnership. And finally... The world’s oldest continuous monarchy of Japan added the newest chapter to its tradition that dates back over 1,300 years of assigning a new name to an imperial era. Isabel Reynolds in Tokyo explains “Reiwa,” which was chosen by a panel of experts and the government. 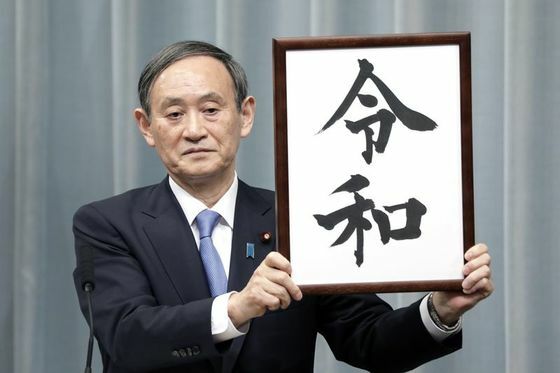 The label was inspired by an eighth-century poem about plum blossoms and can mean an “auspicious calm.” In newspapers and official documents, Reiwa will mark the year when the current emperor Akihito steps down and his son Naruhito ascends the Chrysanthemum Throne – an event planned for May 1.